CCC students now have seven more degree and certificate options to choose from! This fall, new Business Information Worker and Paramedic Studies programs are launching that can make you immediately more competitive in the job market. The business information worker path will get students ready for general office jobs in just two semesters, by focusing on key skills, procedures and software. The paramedic studies program will complement CCC’s existing Emergency Medical Technician (EMT) program, by preparing students for higher-level jobs in the emergency medical services. In the current job market, it is incredibly important to have at least some college education. According to a study conducted by Georgetown University’s Center on Education and the Workforce, 95% of the jobs created between 2010 and 2016 went to people with some education beyond high school. The same study also found that fewer than one percent of jobs held by people with no college education have been recovered since the 2007-2009 recession. Other new programs strive to meet the needs of students who plan to continue on to four-year universities. Starting next semester, new Associate in Science for Transfer and Associate in Art Transfer degrees in public health and philosophy will guarantee admission to the California State University (CSU) system. 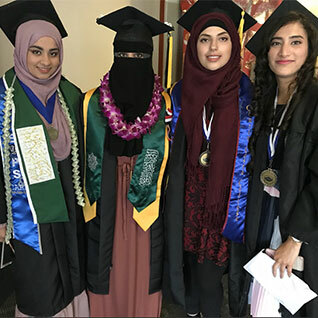 If you graduate with one of those degrees, and then transfer into similar CSU programs, you will only need 60 semester or 90 quarterly units to complete your bachelor’s degree. You will also be given a special GPA advantage if you apply to competitive campuses or majors. CCC already offers transfer degrees in many subjects. Contact the Transfer Center to learn more! Also new this semester is a Certificate of Achievement in Pre-Law Studies, for people who plan to attend law school, and new Certificates of Achievement in Philosophy and Chemistry. And, if you’re interested in a field of study not mentioned above, just check out that department to see what we already offered! We offer over over 125 degree and certificate options in dozens of fields.